I was so amazed at all the free printables for St. Patrick's Day I found on the internet that I just had to do another round-up of just free printables! There are lots of different ones out there. The ones I am featuring here are the subway art which you can print and frame and use for home décor. 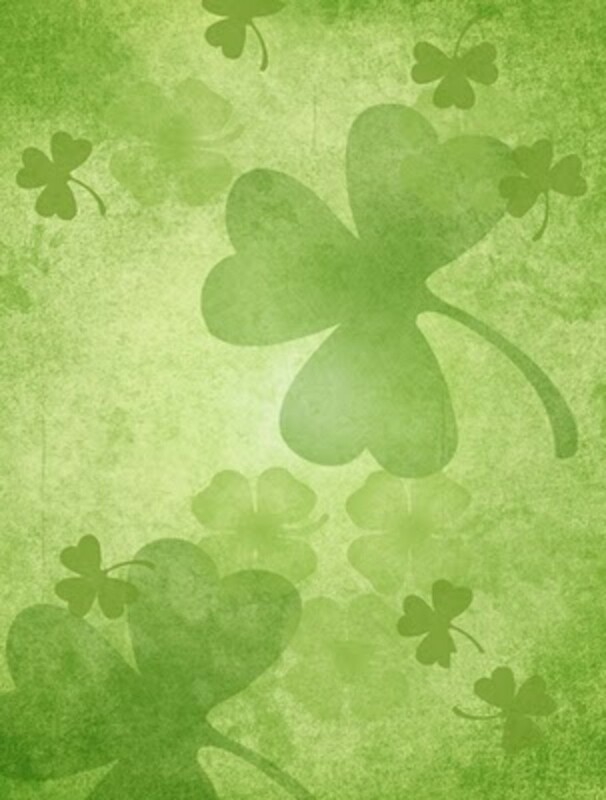 I noticed lots of people are offering printable subway art for St. Patrick's day. I think it would be cute to get some different designs and frame them at different sizes and then do a grouping of frames for decoration in your home. I also found a lot of printable circles that can be used in multiple ways such as cupcake toppers and tags and such. There is lots of cute printable scrapbook papers and other things like that that you can use in many different ways. These resources would be great for teachers, kids, moms or anyone who loves to do crafts. These are for personal use only, please. I hope you enjoy! 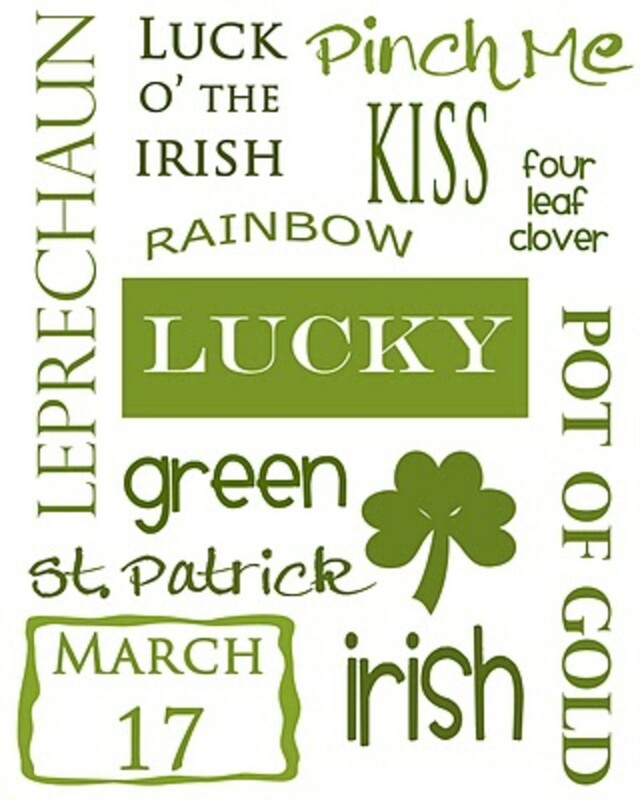 designsbycp is offering this free St. Patrick's Day art to print.. I love how the top word is in bright rainbow colors. This is so pretty and perfect for St. Patrick's Day. I love all the different fonts too. The TomKat Studio is offering these free printable party circles.. I think they are so cute! You could use these to make cupcake toppers, garland, gift tags or whatever you want to do. Do you like these printable patterned papers? These are just one part of a whole set that is completely free for you to print and use! Go to How Does She? and sign up to receive the newsletter and you will get these cute papers plus LOTS more. The whole set includes printable straw flags, circles, water labels, matching papers and a 6 inch circle. These are super cute, too! Be sure to stop by the link and see all of the pretty photos! 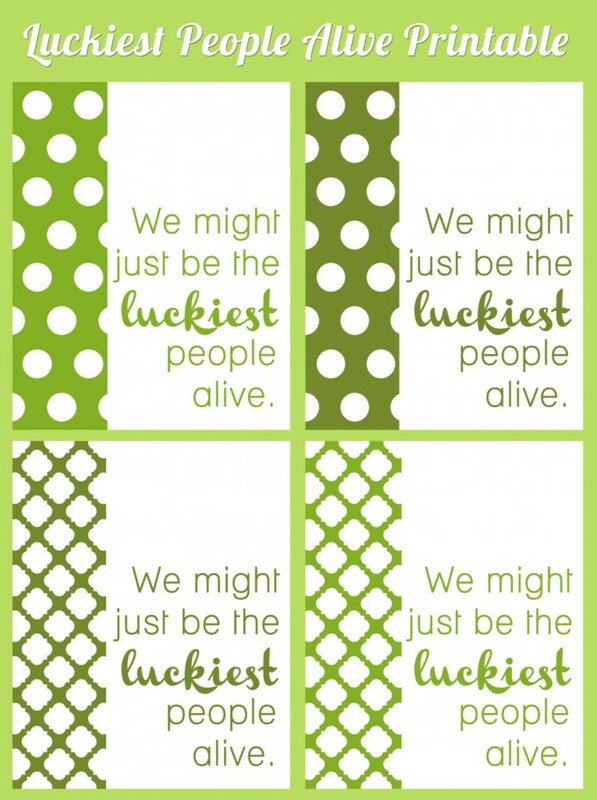 Perfect Sentiment has this very cute free printable Lucky subway art for St. Patrick's Day. It will fit perfectly in a 8x10 frame after you print and cut around the border. There are lots of other cute downloads there as well. Anything but Perfect is offering this cute art for you to print and frame. I like the simplicity of this one. It would make a nice touch to any home for St. Patrick's Day. Be sure to have a look at all of the other super cute, free printables there! Blooming Homestead is offering these cute printable shamrocks plus a whole lot more! You could use these to make cards or use in scrapbooks, frame them or anything you want. Be sure to check out all of them... the ones pictured are just one of 8 different printable designs. Isabelle Lafrance Photography is offering this beautiful background. There is a download for both a horizontal one or a vertical one. You could use these as a background for a photo or you could print it out and use it for other things like scrapbooking, etc. 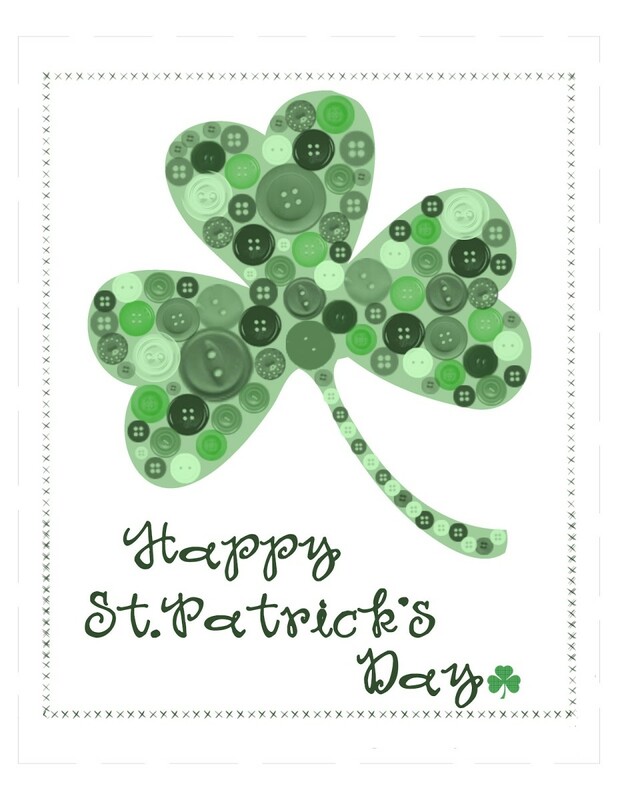 Frugal Home Design is offering this cute button shamrock. Print and cut around the border and it should fit perfectly into an 8x10 frame. 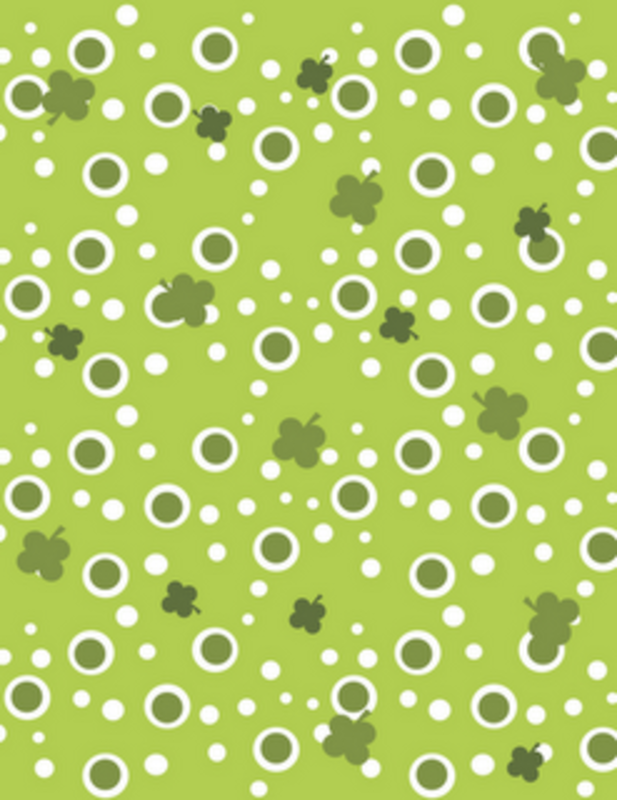 There is also another printable sequin shamrock that will fit in a 5x7. 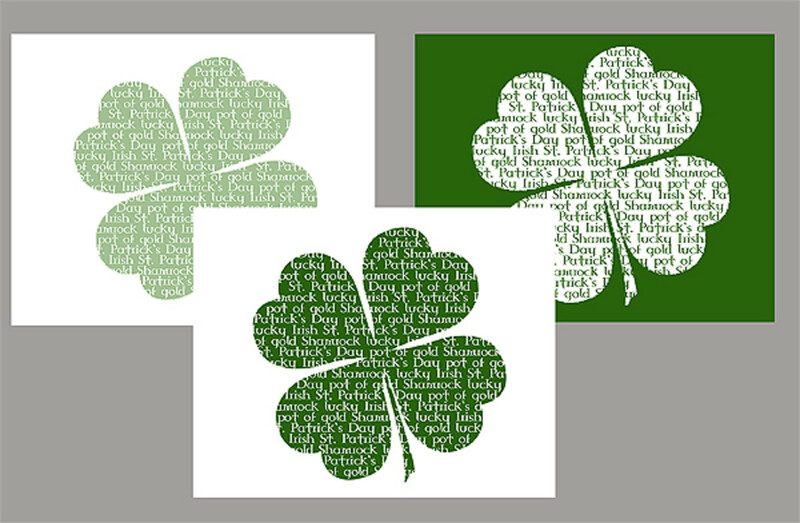 Vale Design is offering these cute mini St. Patrick's Day cards plus lots more. You have to check out this site... TONS of cute free printables here. Shamrock Paper, Candy Bar Wrappers, Etc..
trillustrations is offering this cute patterned paper printable along with some mini candy bar wrappers, St. Patrick's Day word search and some cute printable shamrocks that you can use as tags, etc. 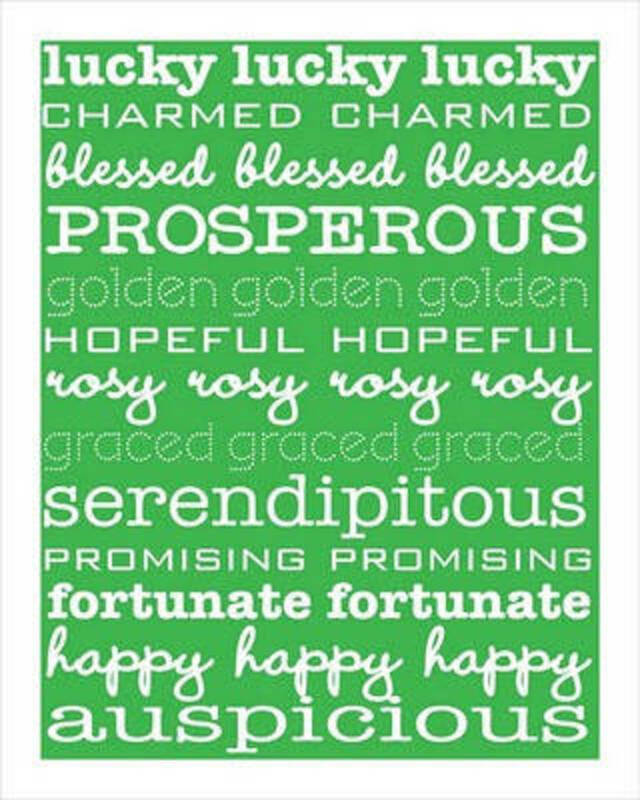 Sweet Rose Studio is offering this cute printable art for a 8x10 frame to decorate your home with for this St. Patrick's Day. There is 4 different styles to choose from. 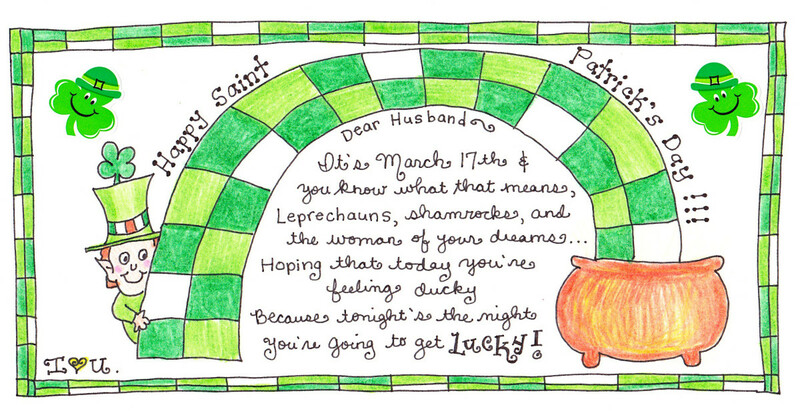 Happy Home Fairy is offering this "note for the lucky hubby" for you to print out and give your husband for St. Patrick's Day. This is too cute. 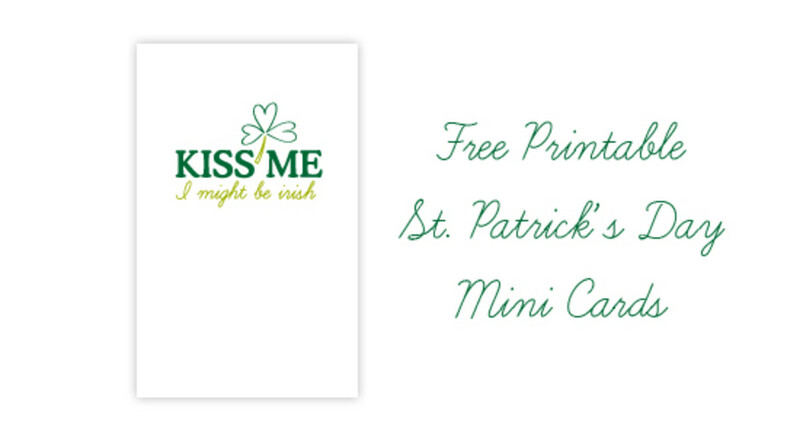 There's lots of other St. Patrick's Day printables there as well. Go check it out! brown paper packages is offering this free printable text. 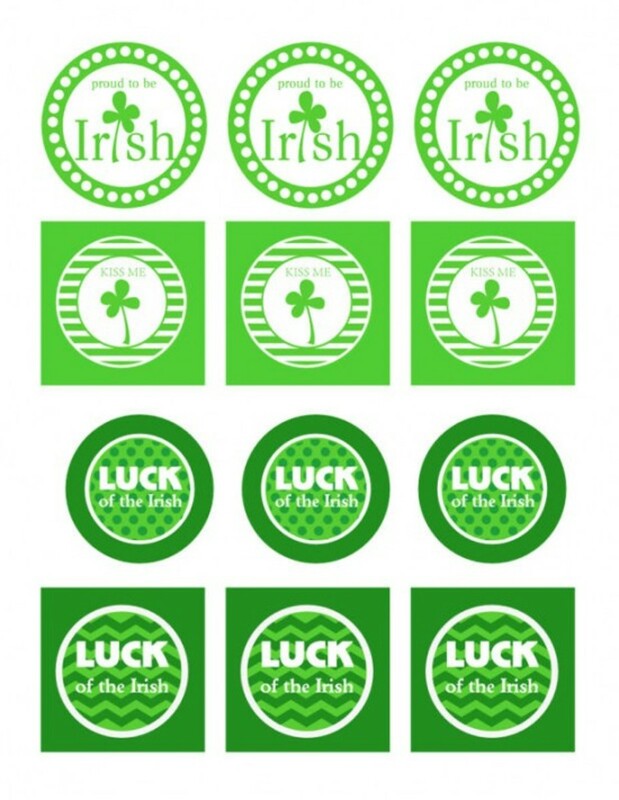 Print out on whatever paper you want to make tags and other paper crafts for St. Patrick's Day. If I could is offering this free subway art.. Like a few of the others, it's made to fit into an 8x10 frame. 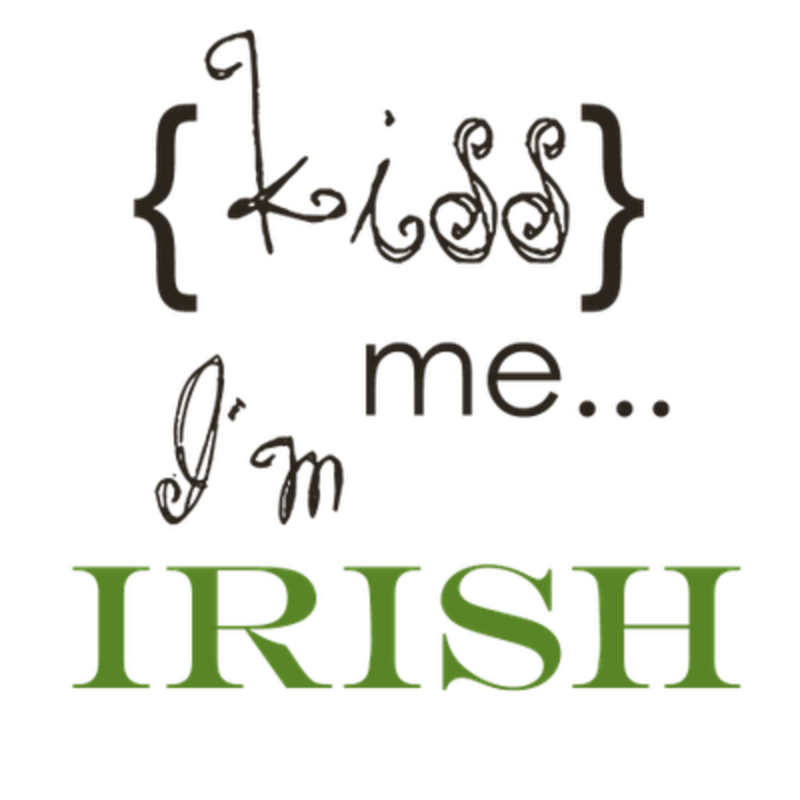 Just print, put in a frame and then you have instant home décor for ST. Patrick's Day. MJ Paperie is offering an entire set of St. Patrick's Day printables which which could really come in handy for your next St. Patrick's Day party. 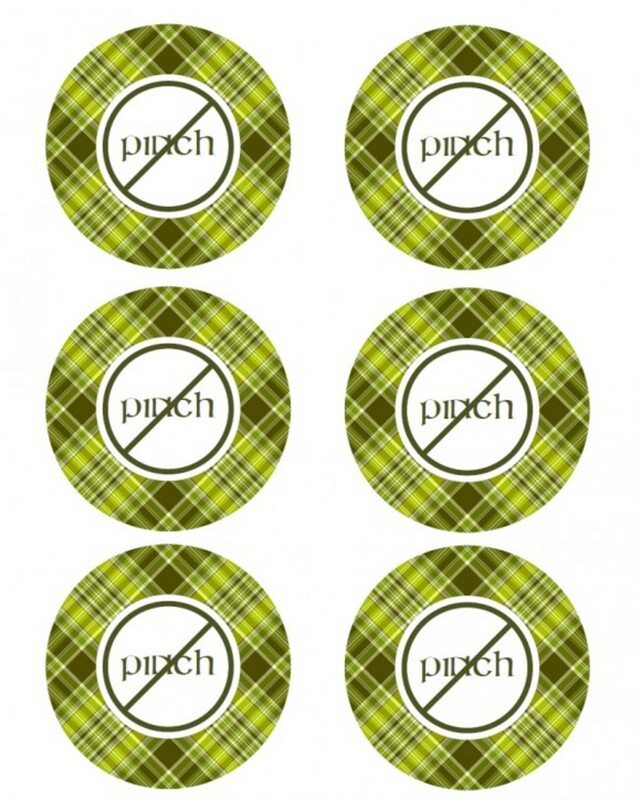 Besides the no pinch circle charms that are pictured, you get cupcake wrappers, drink flags, printable labels for bottles including a label for the neck of the bottle and place cards. Go to the site and have a look at all of the fabulous photos. This is a great set of free printables.. you don't want to miss out on this one! 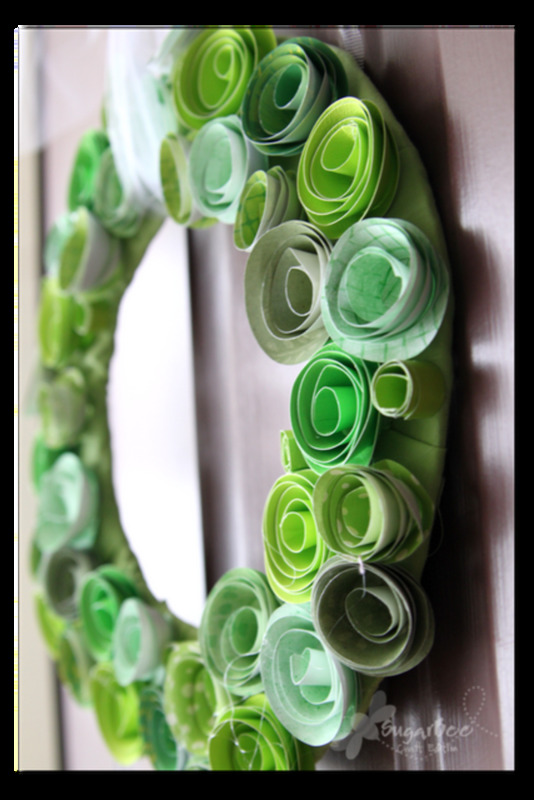 HopScotch Studios is offering these cute party circles to print and create your own St. Patrick's Day crafts with. Print these circles and use them to make cupcake toppers, garland, napkin rings or whatever you suits your fancy. 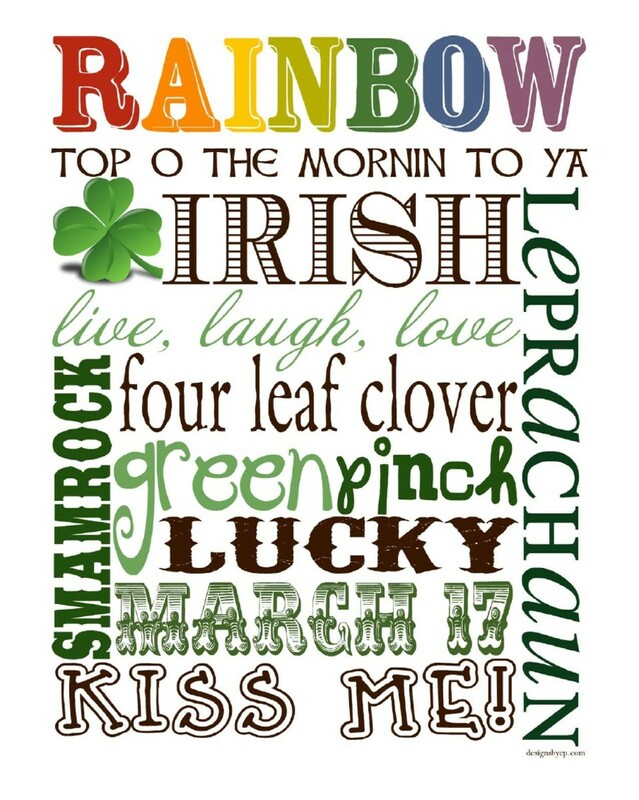 Look at this nice printable word art for St. Patrick's Day. 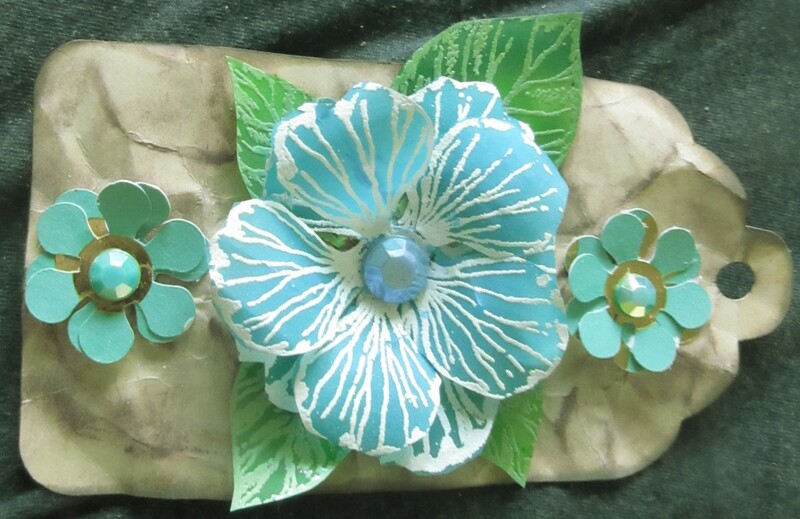 This is just one of many elements in a digital scrapbooking set called Glen O' The Green. You can print it out on your own colored paper or use it for digital scrapbooking. Be sure to have a look at all the elements in the kit. Get it here! 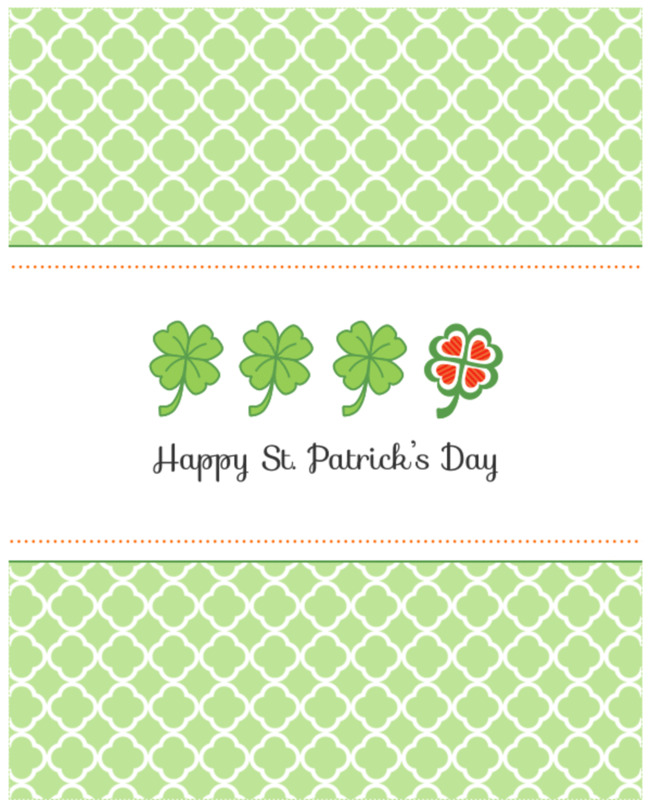 Simple Crafter is offering this cute printable subway art for St. Patrick's Day. Simply go to the site and enter your email address to get access to this one plus other free printables as well! 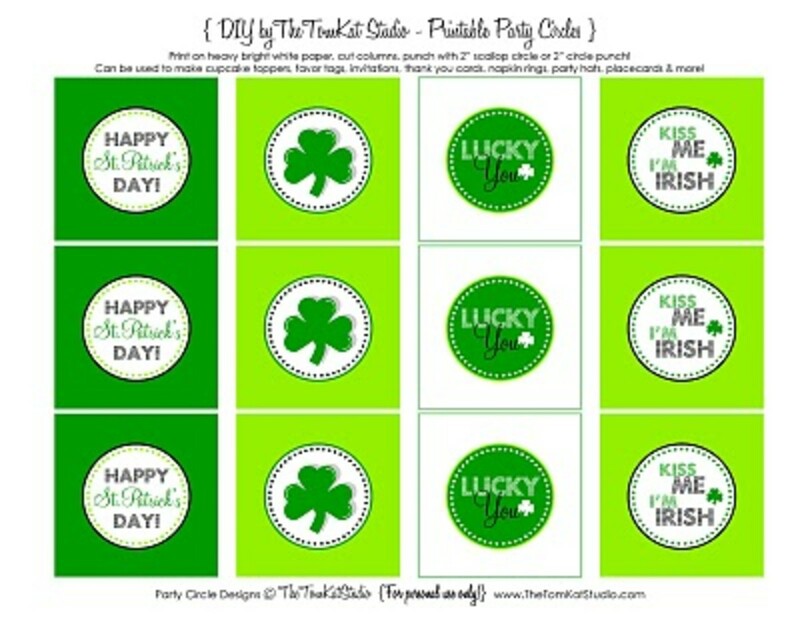 Lots of St. Patrick's Day Printables.. The printable cup cake toppers pictured are just one in a set of free printables at Double the Fun. 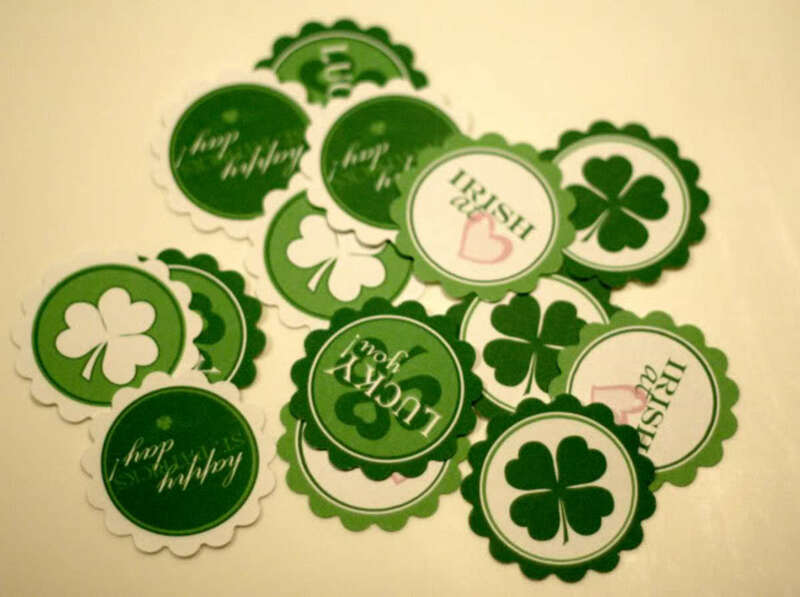 Visit the site to get free food labels, round and square thank you tags, good luck banner, and some cute printable papers- all for St. Patrick's Day! 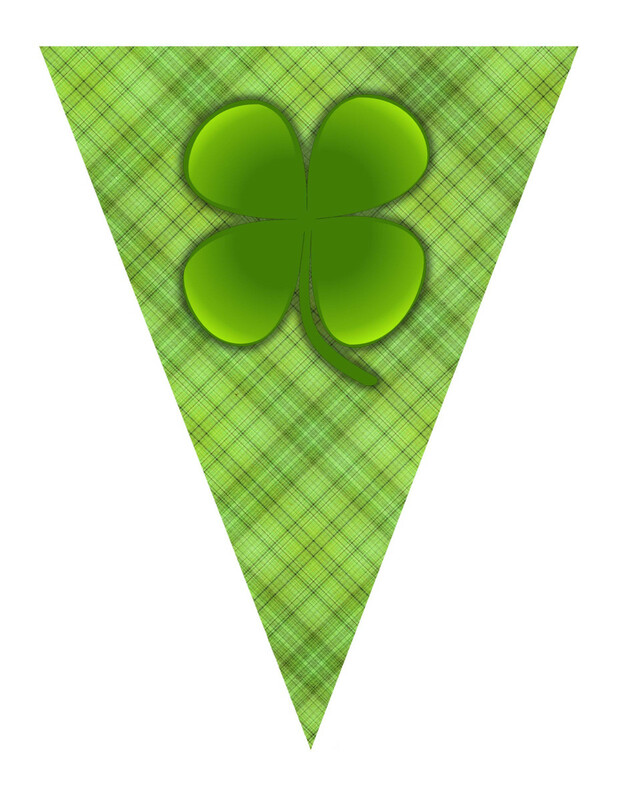 Over The Big Moon is offering this nice St. Patrick's Day free printable bunting. This is super cute and looks great hanging over the fireplace. It's perfect mantel décor. Pictured is just the first piece. It spells out LUCKY. Go to the link to see all of the cute photos and grab the printable PDF. Morgan Made It is offering this cute St. Patrick's day art printable. You can click on the image and print or if you want to print it at a different size you can save it on your computer, open it in an image editing program, change the size and then print. 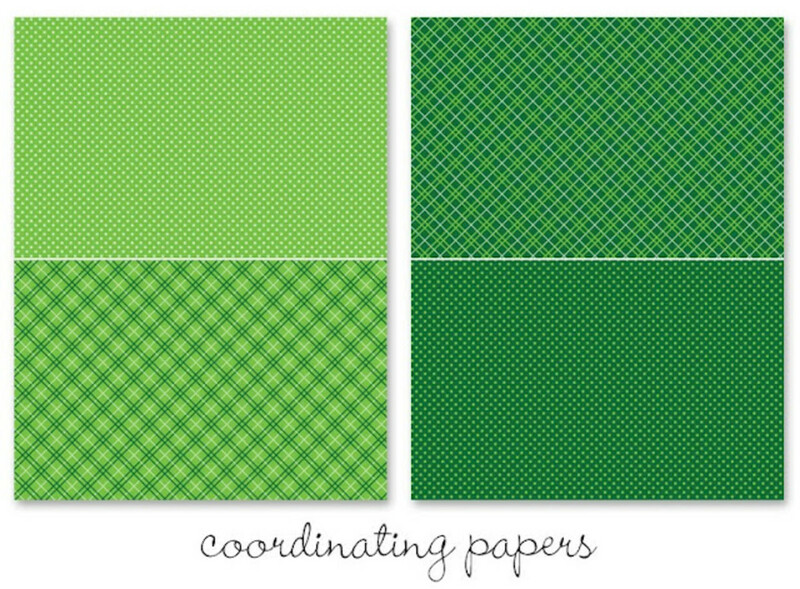 Free printable patterned scrapbook papers and 2 sets of tags for St. Patrick's Day. 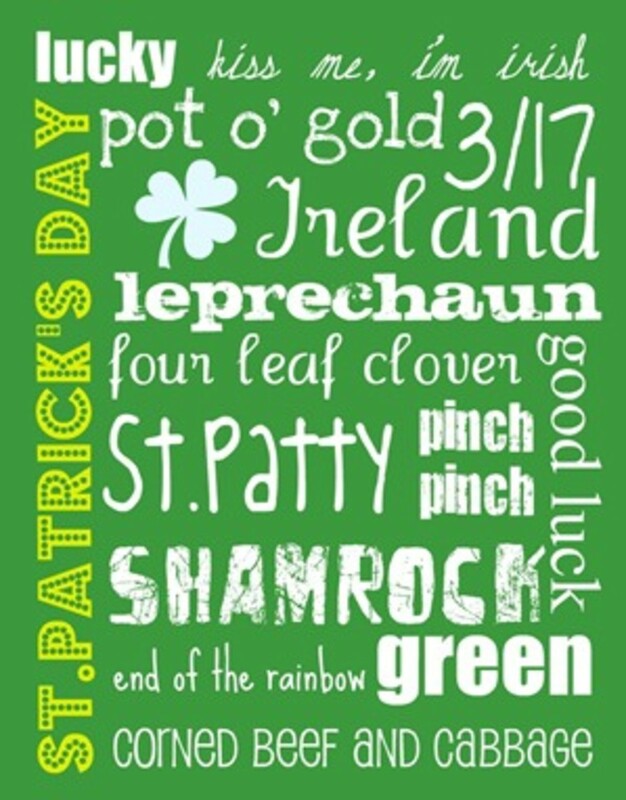 St. Patrick's Day is a day of celebration to many especially for those in Ireland but even here in the United States school's have St. Patrick's Day parties for the kids, bars and pubs celebrate and serve green beer and there are also several annual. Enlydia, you are welcome.. thank you for stopping by! Marie, you are so welcome! This was cool, I was looking for a free St Pat image recently for my children's book that I was writing. Nell, thank you! I know what you mean about free stuff these days :0) Thank you for stopping by! 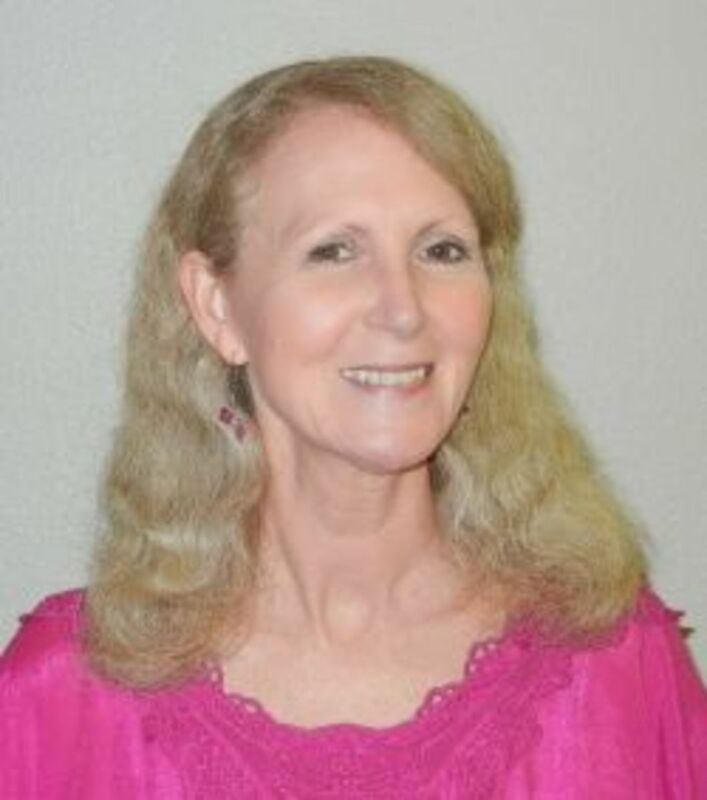 shelianewton- You are welcome.. 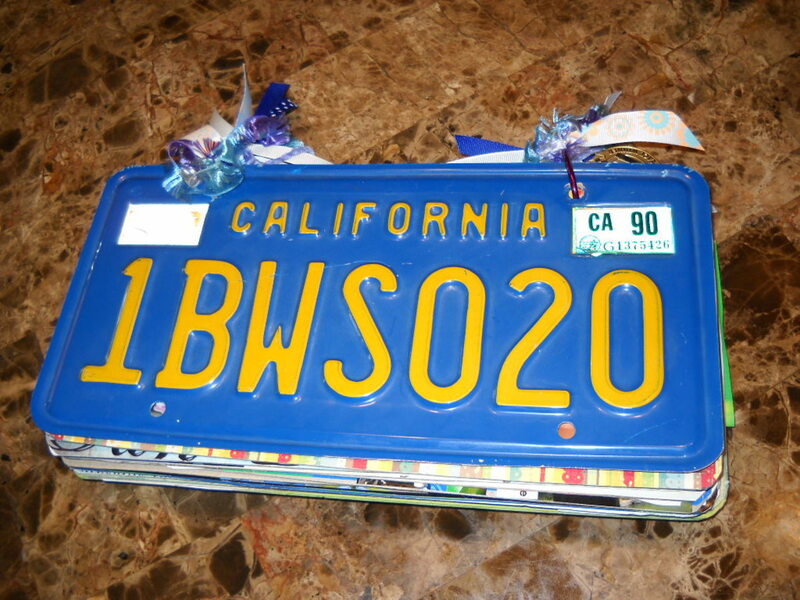 I'm glad that you like these :0) Have lots of fun celebrating! Awesome round up Jamie! Thanks for these great free resources. Glad I found this before the big day. Voting this Up and Useful. Aw - thank you for these Jamie. 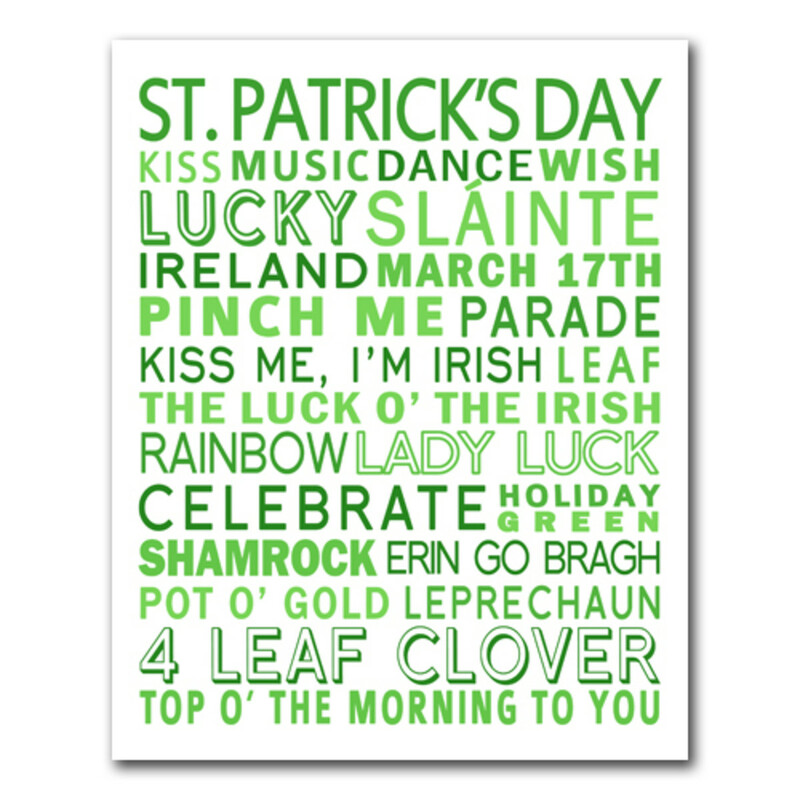 When I come back from my hols in Gambia it will be St Patrick's Day - so now I can get my printables done before I go and then I'm all set for the big celebration with GUINNESS! ElleBee- Thank you so much for stopping by and I'm so glad that you have found these useful! I bet your t-shirts turn out really cute! Thanks again!